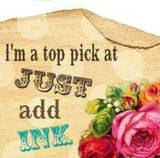 Stamp with Lisa: My little man is one!! My little man is one!! Look at this gorgeous face..doesn't it melt your heart. I can't believe Sam is one. This year has just flown by. 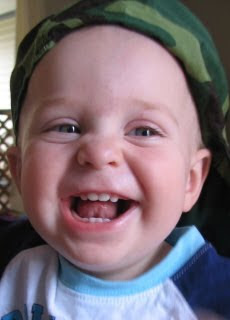 He is such a happy contented baby (or boy now...boo hoo). He really is such a joy and everyone just adores him. And yes he is getting a bit cheeky ...check out that grin. Mischief is his middle name. 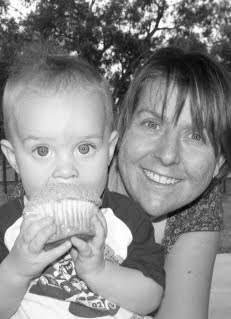 And Sam and Mummy with his cupcake..(mummy only does black and white lol). We took the boys to Anzac Park for a play and cupcakes to celebrate his birthday on Sunday. No big deal... just fun with his brothers and he loved it. I hope he stays so easily pleased. 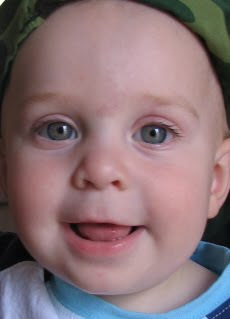 Hugs to Sammy....Hugs to Mummy...such a happy happy boy.